played a major role in creating takes all that talk to an entirely new level. When The Kiski School in Saltsburg, Pennsylvania, asked for some help in creating a custom makerspace for their students last summer, we were happy to lend our expertise in designing their three-room creative haven. At the time, the school had just completed their first semester of the Inventionland Institute curriculum. They were looking for a better way to encourage creativity and productivity outside the confines of a traditional classroom that can leave students feeling much less than inspired. drew up a blueprint with our suggestions and began a total redesign. The result was a unique three-room makerspace with endless creative possibilities. “There’s an inventor-space for brainstorming and designing, a maker-space for building and a storytelling-space for showcasing ideas with video and photography,” said Inventionland Institute Executive Director Nathan Field. We think The Kiski School Headmaster Christopher Brueningsen summed it up best. 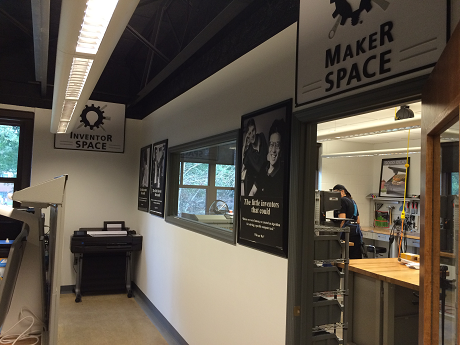 “Makerspace is a perfect fit for Kiski…” said Brueningsen, noting the way their makerspace encourages creativity among both students and teachers, alike. 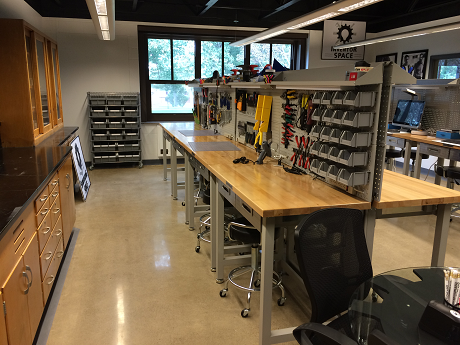 From the looks of things, The Kiski School custom makerspace will continue to inspire. The school’s next group of students to enroll in the Inventionland Institute curriculum is set to begin their coursework in late January. If you think our curriculum or creative space-making capabilities are a good fit for you and your school, contact the Inventionland Institute today!